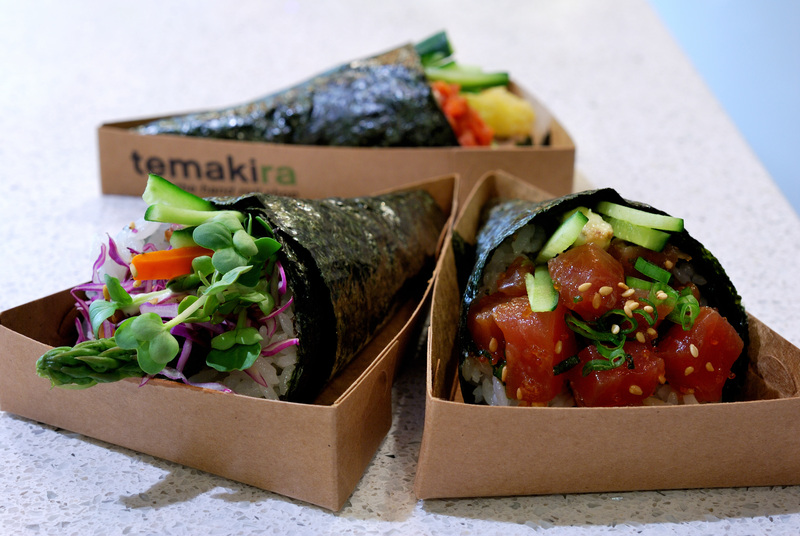 Temakira, the popular sushi-inspired hand roll shop, will open a new location at University Center this fall. Temakira is a restaurant inspired by Brazilian creativity and Japanese tradition. “Temaki,” meaning hand roll and “kira,” meaning together, is an innovative way to introduce a new form of sushi in a contemporary setting. The temakis are made-to-order, crafted by wrapping a piece of nori or seaweed, in a cone shape that holds a selection of rice, raw fish, veggies and sauces within. 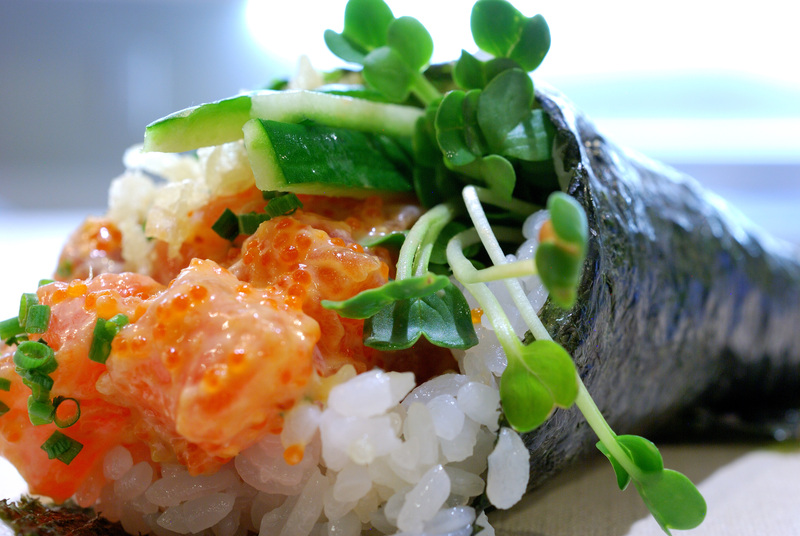 The roll is large enough to hold by hand, yet easy and fun to eat. Signature hand rolls include the Calientail, combining yellowtail, avocado and cucumber with extra spicy sauce or the Viva, wrapping up shrimp tempura, spicy tuna, cucumber and viva sauce with white rice and crisp nori. Customize your rolls with the options of soy paper, brown rice and a selection of fillings, proteins and sauces. Add spicy edamame, gyoza, shishito peppers or miso soup to accompany the hand rolls. Temakira will also serve beer, wine, sake, shochu and a variety of soft drinks. University Center has recently seen a wave of new restaurants and fast-casual concepts open including Slapfish, Mendocino Farms, Eureka! and Stax Cookie Bar.